Alessi "Fiato sul collo" Collar Necklace (ALCOLLAR) at Pure Design / Accessories / Jewelry ::: Furniture for the Home, Office, Home Office, and More at Pure Design Online! 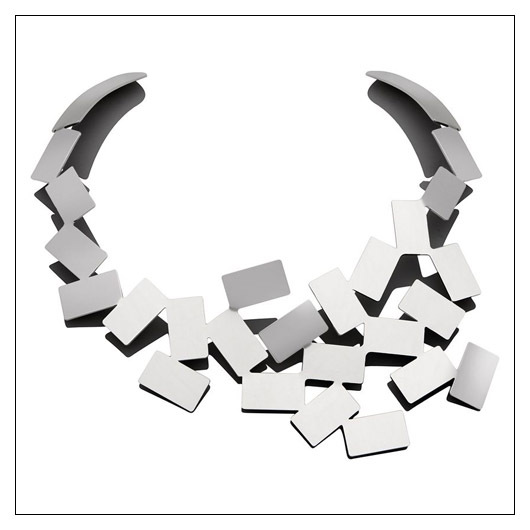 This stunning, modern collar necklace from Mario Trimarchi is THE statement piece for any formal occasion! In vibrant stainless steel, the cubic design looks sleek and stylish. Don't be afraid to sport this high-fashion look!